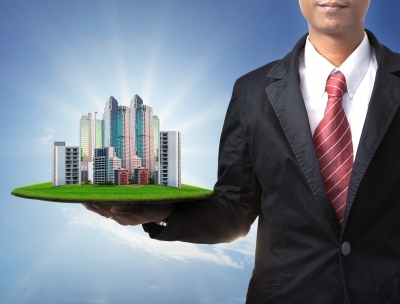 What are Bulk REO Properties? Banks and lenders that underwrite mortgages for real estate understand that not every loan will be repaid on time or in full. It is because of this risk that certain types of financing is now harder to receive even with a median level credit score. For housing industry investors, knowing what are bulk REO properties could open up new ways to profit through direct home ownership. A homeowner who is unable to pay for a mortgage has an option to sell a property or give it back to their lender through a legal process. When financial institutions foreclose or take back ownership of a home, this creates a larger than normal inventory. REO or real estate owned property includes distressed homes and homes in good condition that are sitting vacant and might never be resold. Many homes are placed into a catalog and sold in bulk units to buyers. A person who does not currently own rental real estate, might be exploring profit margins on different types of properties. The REO home can be profitable although not every structure is in livable condition. Cities like Detroit, Austin, Jacksonville and other areas of the U.S. continue to have higher numbers of foreclosed and abandoned houses. There are not too many instances where a person can literally pay pennies on the dollar to buy a home in the U.S. With bank owned foreclosures or short sales, it is possible for an investor to acquire a home for 25% to 65% of its street value. Purchasing at a discount and flipping or selling the property for a higher price is a strategy in use by a large number investors. Because REO properties are often sold in pairs or in small groups, an investor makes an offer to purchase more than one house at a time. This creates a strategy for buying, renovating and holding onto properties that will be rented out to low income adults or those who have bad credit scores. Investors sell to each other all the time although these sales usually go unnoticed. An experienced person who buys REO in bulk has the option of selling one or more homes to a beginner who is seeking a first deal. Because some bank owned properties for sale can be acquired for under $10,000, someone just starting out as an investor could find this approach affordable. Because of the risks involved, purchasing foreclosure or distressed house as part of an REO package might not be right for every person. Someone who appreciates earning income without scouting, negotiating, managing or renovating a property could find that turnkey homes are the right option. To learn more about JWB turnkey investments, download the complementary guide on this page.